Ben Poremba was sitting in the dining room of his restaurant Olio one day when he had a revelation: "I think I'm going to open a fried-chicken restaurant." His employees laughed, taking the idea as nothing more than the musings of an eccentric chef. Yet the next thing they knew, Poremba, an Israeli expat, was off traveling the country to learn everything he could about this classic American comfort food before opening Old Standard last autumn. 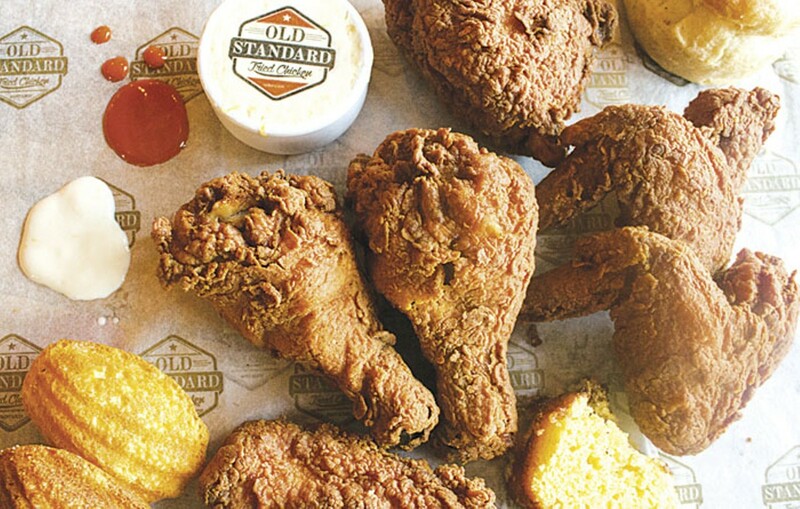 Fast-forward two years, and his idea is less novel — fried chicken is 2015's "it" dish, and barely a week passes without a new restaurant springing up that's devoted to the deep-fried bird. Granted, others preceded Poremba, but there's no question that he was the visionary behind this new crop of nouveau chicken joints. And unlike those who came before him, Poremba uses ethically raised birds. He brines the chicken and cooks it in a pressure fryer, resulting in juicy, succulent meat, and crispy skin and breading. It may be a crowded field, but this trendsetter leads the flock. 1621 Tower Grove Avenue, St. Louis, 63110. 314-899-9000, www.oldstandard.com.